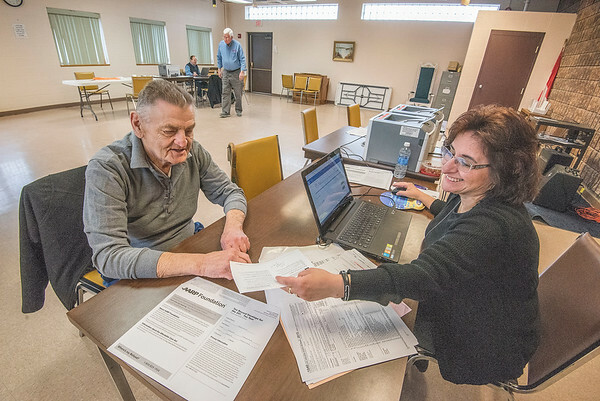 Niagara Falls, NY - Edward Rajczak of Niagara Falls has his taxes prepared by volunteer AARP Tax Aide Flora Colangelo at the John Duke Niagara Falls Senior Center. Those 55 and older can get simple taxes prepared for free by appointment. For more information call 716-297-9324.